As of writing here, I have been using Zoho for more than 4months now. I am using their FREE Email server and I am 100% satisfied. Zoho service is a great alternative to Google Business. 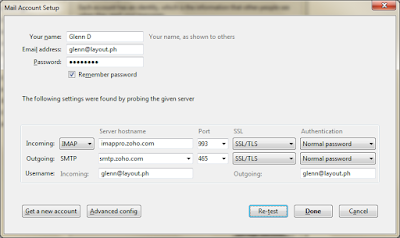 Currently my domain layout.ph is hosted free from Github, also my email is freely hosted by Zoho. If you want to do this setup, you need to configure your DNS records to allow web and mail use different servers. 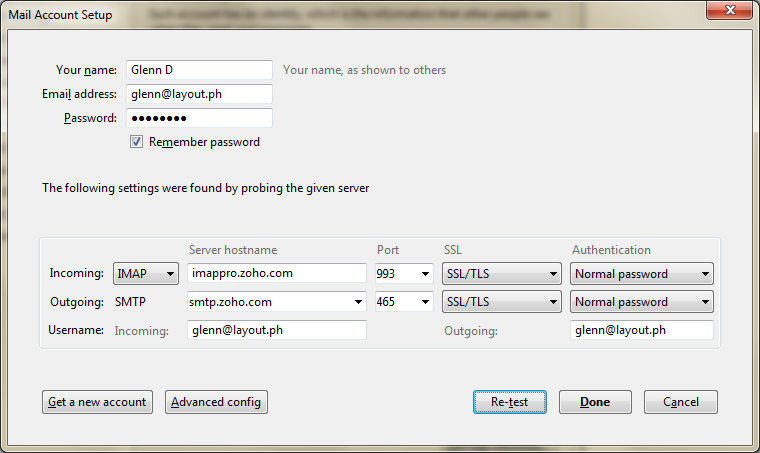 Anyway heres my current Domain email IMAP setting for Thunderbird using Zoho servers. Remember inorder to use Zoho IMAP or POP3 email you need to enable it first or else server will refuse the connection. Once enabled, use the following IMAP setting.